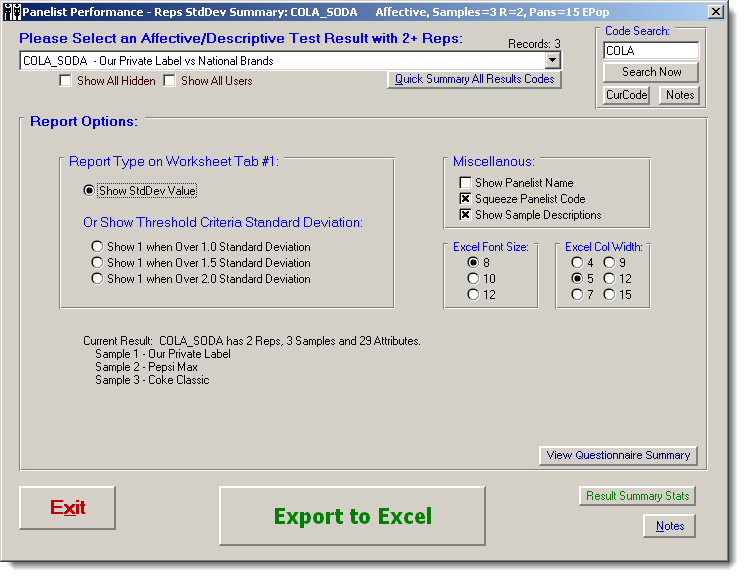 You may choose to Show StdDev Values or Show Threshold Criteria Standard Deviation. The 1's indicate over the acceptable criteria threshold for standard deviation values. 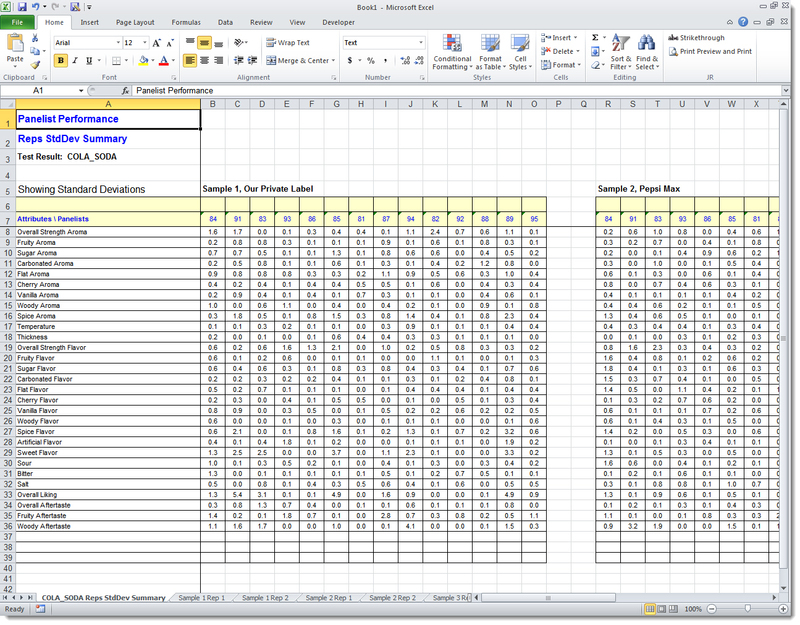 Panelist's Raw Test Data scores for each sample and rep is listed on separate worksheet tabs. Panelist names and codes are listed by columns. The report will create Excel Worksheet Tabs for every Sample & within every Rep. The 1st Tab will always be the Summary StdDev Report, the remainder will be the detail underlying data.